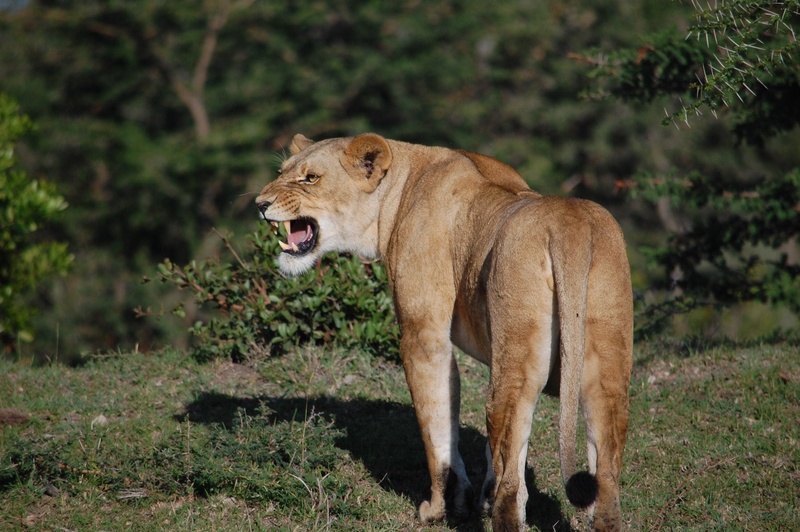 Just north of the Masai Mara National Reserve is a remarkable place – The Mara Naboisho Conservancy. This special partnership between the Maasai who own the land, six safari camps that share it and people like you that can come visit it is one of Kenya’s success stories. From top camps to being able to walk through the bush, Nabiosho is emerging as one of the top safari destinations not only in Kenya, but actually in all of Africa. So here’s what you need to know – and especially as you plan your safari, you need to remember these things. The Maasai Own Their Land And Always Will. In many places, tragically, the tribe or people who owned the land historically have lost the land when either it was turned into a national park or sold to an investor – not here. In Naboisho, over 500 Maasai families have leased their land to the conservancy and will therefore, always keep it. One interesting thing to note is that through the conservancy which is funded by tourist operators – each and every Maasai landowner gets a rent check each and every month. Just through the creation of the conservancy, more than 3,000 Maasai were lifted from below the U.N. poverty line to above it through the creation of this lease program. There Are Only Six Camps Spread Out Over More Than 55,000 Acres. Some reserves of the same size have literally thirty or forty camps. Here there are just five which mean you rarely see anyone else. There is a strict three vehicle rule at any sighting and usually you either will be the only car watching or there might be one more. Even in the more famous private reserves, there can be five or ten vehicles. In fact…. The Number Of People Visiting At Any One Time Is Limited To 124. In Nearby Talek, Over 8,000 People Drive Through The Gate To The National Reserve On Peak Days. That’s a big difference. Remember, should you actually want to go through the gate with 8,000 of your closest friends, any of the camps at Naboisho will be happy to take you for an extended day trip. Don’t worry though, while everyone has the right to visit the Reserve, the conservancy can only be used by the six camps. Here, You Can Walk The Walk. Have you always wanted to walk through the plains? Climb down a hill and see giraffes wandering by? In Naboisho, you can – it’s one of the amazing things about the conservancy. So if you want to go to see the best of Africa, there’s only one place to go – Naboisho. Right now I am sitting in Lamu on the Kenyan coast and have just put up a piece on Medium.com about Naboisho and the amazing success story there.If you want to visit this amazing place, just email us and we’ll get you an amazing deal – especially at Encounter Mara.